Talk to Scorpiany, he can goat in a heavy no problem. You'd be surprised where any tank can go. I've seen a Maus goating and a TOG. Takes a lot of practice. They shouldn't be removed, but they should be balanced. A strong spot for one team should be matched with one for the other. Thats my point. And either be made slightly more accessible, or removed. Personally, I dont care... hence the poll. 3 BAT's on one side and 3 Cent AX's on the other isnt gonna get it done for the CENT team if they cant climb the paths when the BAT's can. Agreed- I'm a HT main, and I can't help but admire those goats. no seriously. 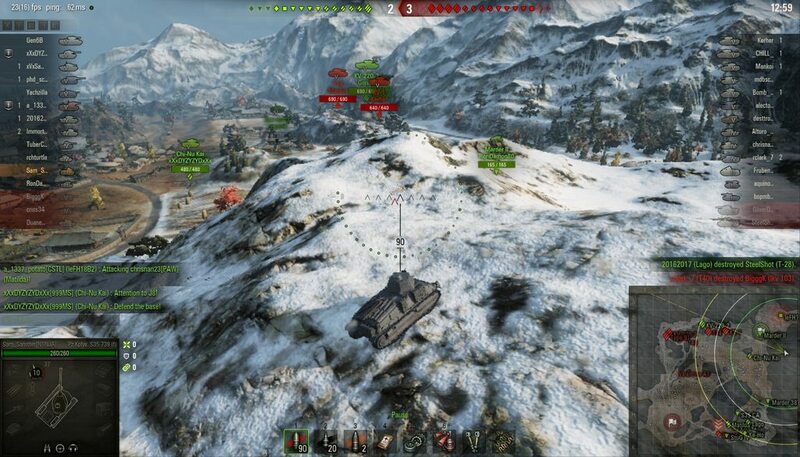 IS-3 or T26e5 driven up a hill in clan wars. people think i nuts. and the enemy don't realize i there till i land on them right as my team pushes into them. they freak out and aim at me, while my allies get free rear turret shots. Unless you mean to make the maps 100% flat, someone's always going to find a nook to get in that gives them an advantage. As it stands, both research and creativity shouldn't be getting punished, I feel. Most map Mountain Goat paths give one side a distinct advantage too... i.e. only one team can safely access/use it. While Im sure I dont know ALL the MG paths, the few I know are not equally accessible/ exploitable by BOTH teams. Edited by NiteDog, Mar 20 2017 - 21:13. They are killing Mountain Goating. The new map graphics are putting hard obstacles in places where mountain goating occurs to put a stop to it. The devs did not intend for players to use it the way it is used now ,and it is rightfully being shut down like the trash weab tactic it is. Edited by Blackgunner, Mar 20 2017 - 21:13. That's true but it's rare that a team is entirely bereft of climbing tanks. Lights can do them even if your meds can't. Whether that's the best use of a light ( or medium for that matter) is another question. Any vids of HT mountain goats? All the vids I've seen are only of super fast LT/MT/TD's. get permission from my clan to put cw vids public and sure. Ive seen Bat Chat, E-25 and HIGH tier Swede TD Goats. Gotta be FAST tanks. VERY few can make these treks. There used to be a goat path up the south side of the Mines donut hill, but that's gone now. 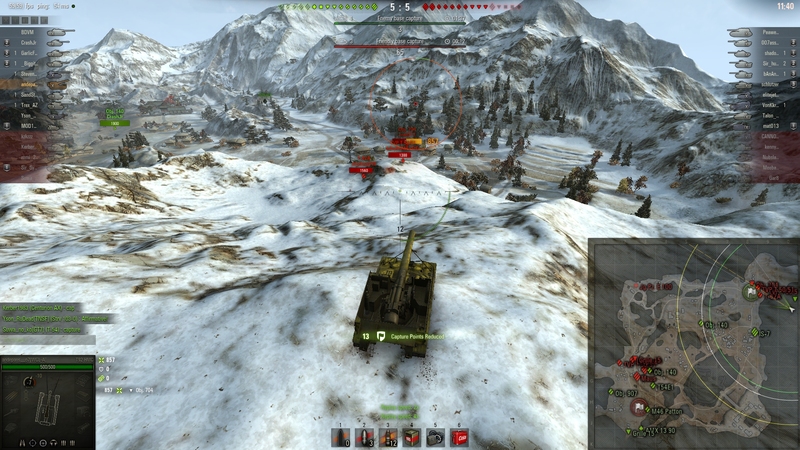 Dude, the B-C 25t is blistering in a straight line. It just has somewhat sub-par cornering. Personally, I dont care... hence the poll. You keep saying you don't care, then may I ask why you made an entire thread about it? Duqe, Those are his real stats. He fails at trolling too. Back when I played WoW I learned a little about the equivalent "mountain goating" which involved exploring incomplete areas that the devs never released to the public. It hurt nobody. I am against anyone doing this being blacklisted, but given that WoT is (nominally) a competitive game I don't agree with it being part of the game. Edited by FrozenKemp, Mar 20 2017 - 21:22. I wouldnt believe that if u didnt have a SS Were you team-pushed up past that critical spot? To see what others think? You know thats what polls are all about right?? If you look up "gullible" in the dictionary, there is a picture of me. If you look through Cheekyman's VoDs on Twitch you'll find him doing climbs on Abbey in a Maus and Type 5. From what I can tell, until we hear from a DEV, these are simply unintended map irregularities that can be exploited by certain tanks/situations. Its NOT illegal to use them if you know they're there. No one should get blacklisted. My sole question is : do they give an unfair advantage to certain tanks or certain North vs South spawns. Truthfully I"ve tried a few, with no success. I've also been rip-sawed by an E-25 (NOT Gasai!!) who was in one of these spots. My response was: good for him, he knew how to exploit the map/tank combo he was in..
Game Discussion → General Discussion → Poll Should certain climbs (mountain goats) spots be allowed?